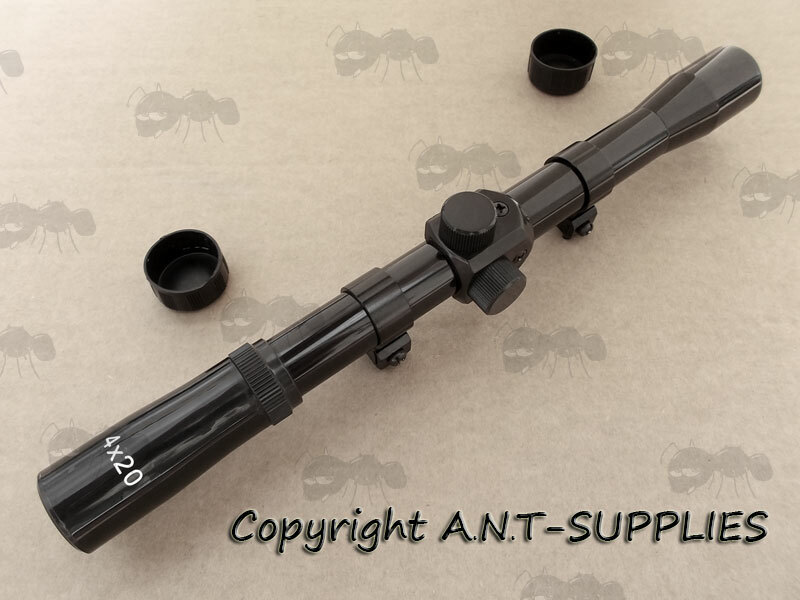 4 x magnification with 20mm lenses. 10½ inches / 270mm long. 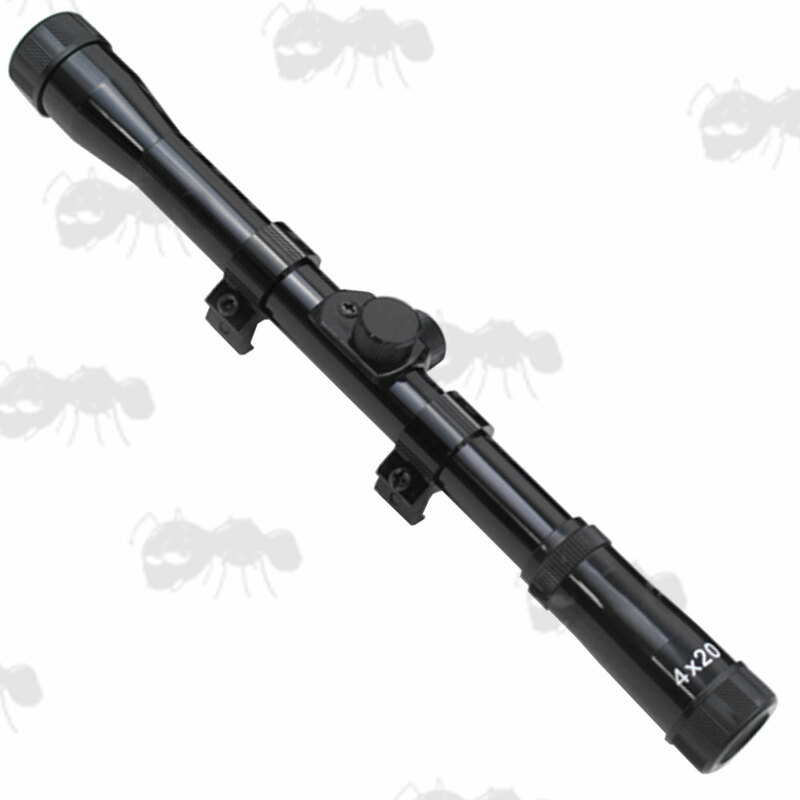 The scope can also be fitted with the Size 1 Quake Bushwacker lens covers.